So you bought a smartphone without a headphone jack. Now what? Tech tips: Are wireless headphones right for you? Consider the what and when of listening, and don’t blow your budget, even if manufacturers want you to. Like it or not, more smartphone manufacturers are ditching headphone jacks to make their devices slimmer and trimmer. The charitable companies offer dongles that let you use standard headphones, but most would prefer you buy wireless versions instead. Whether you listen to music while you run, work out at the gym, ride the train, or just as you walk around, here’s how to figure out whether wireless is best for you, and which headphones to buy. All isn’t lost. Wireless audio used to be synonymous with awful sound, but that was years ago. Most wireless headphones use Bluetooth, the same short-range technology that lets your phone talk to your car, for example, or your wireless mouse talk to your laptop. Bluetooth audio used to sound horrible because it’s short-range and not designed for large amounts of information, and it had to be heavily compressed to work. Headphones are difficult to shop for because you can’t really try them before you buy a pair. Lauren Dragan, audio/video expert for The Wirecutter, has tested hundreds of pairs and written several reviews to help. She has specific suggestions if you’re looking for the best wireless headphones for exercise, full-on over-ear Bluetooth headphones (perhaps more ideal for office listening then portability), the best portable wireless earbuds for those who want it all: audio quality, the ability to answer calls, portability, and moderate isolation, and even the best “true” wireless headphones, as in no wires at all, even connecting one earbud to the other. Each review offers a top pick and subsequent options for budget shoppers, or people who are looking for an upgrade and are willing to spend more for some extra features. However, keep in mind that new models are on the way. But that was then, and wireless headphones sound much better today. As Bluetooth headphones have evolved, so has the wireless technology that powers them. 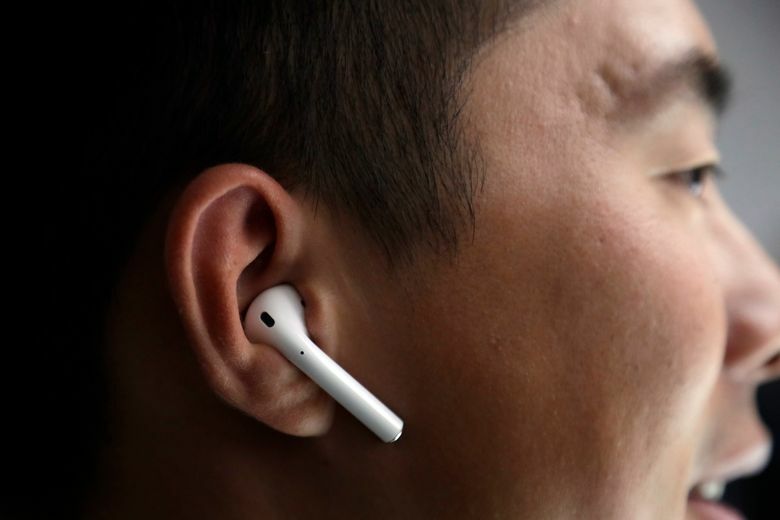 Newer versions, including the new Bluetooth 5.0, available on Apple’s latest iPhone and coming in the next generation of Android devices, promises faster transfer speeds for more data, which translates to better audio quality and richer sound in your ears. These days, Bluetooth headphones and earbuds are available at multiple price points and come designed for people who need them to stay put while they run or exercise, or to be unobtrusive while you walk around town or ride the subway. There are even models that promise superior audio quality, if you’re willing to pay. So now that you know that wireless audio isn’t the end of the world, consider your use case. Let’s be fair — even if you’re a die-hard audiophile — the times you might use wireless headphones probably aren’t those when you’d really appreciate your music. For example, if you’re commuting on the bus or subway, or going for a run, or even working out at the gym, you’re probably not really focused on the nuances of the music. More likely, you’ll need headphones that also allow for a sense of what’s going on around you, but still blocks out some outside noise. This is called “isolation” (the audio term for “blocking outside or unwanted noise”) and is ideal if you plan to wear your wireless headphones in public. You also need your headphones to connect to your phone easily, and stay connected without dropping or forcing you to stop listening and reconnect them. You may also be concerned with battery life, since you’ll want them to stay charged while you run or commute. Keep all of that in mind when you go shopping. Alternatively, let’s say you want wireless headphones for the office. You may need a pair with more focus on audio quality, since you’ll likely use them while sitting at your desk working. You may also want something that blocks out the din of your office, but not so much that you’ll be startled if a colleague walks up to speak with you. You might consider something with “active noise cancellation,” the term for headphones that have their own built-in microphone, listens to the sounds around you and creates a sound wave that actively cancels it out. So keep in mind that the cheapest wireless headphones on the market probably skimp on those elements. Build quality is the thing that makes your headphones feel sturdy and solid as opposed to cheap and flimsy. The drivers are the best indicator of audio quality — so cheap drivers mean tinny, robotic sound. High-quality ones generally mean great sound, but higher prices. Most important, don’t be fooled by manufacturer bells and whistles that have little to do with your actual listening experience. It’s worth spending extra for battery life if you want your headphones to last longer between recharges, but customizable LED lighting probably isn’t. Active noise cancellation costs more and will drain your battery faster. A built-in microphone, so you can take calls, may be worth your money depending on your use, but consider that before you buy, and don’t overspend on features you won’t use.